I was introduced to this definition at University, can you believe that is has remained unchanged for nearly 70 years? 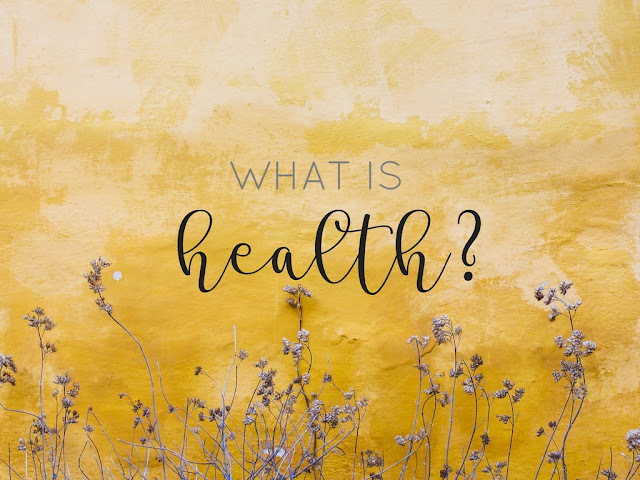 When you search for the definition of health in a dictionary it tends to only focus on the physical and mental health side of things and not on the impact of well being, be it physical, mental or social. Which, for me, is what makes this definition stand out. So, as the definition suggests, health isn't just about the absence of illness, be it physical or mental. You could be a perfectly well individual, but according to this definition you still may not be considered to be or even feel healthy because of other factors at play in your life. I, personally, like the fact that this definition takes a holistic approach to health. That it's looking past illness and focusing on what else might be going on in an individual's world. Health is a complex issue, one that is clearly impacted by a multitude of factors. It could even be considered abstract due to how difficult it is to truly define. 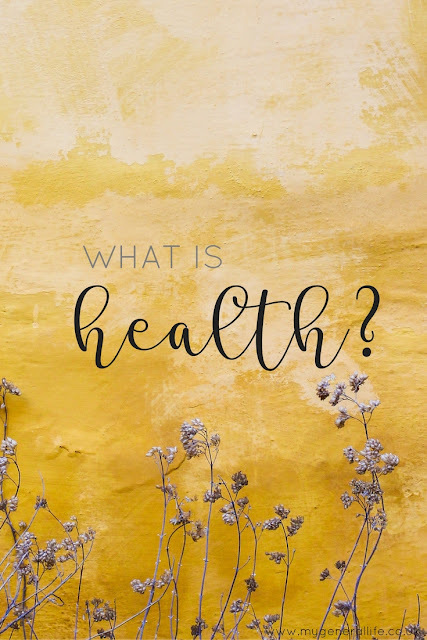 What constitutes health is likely to differ slightly from person to person depending on what that individuals values and beliefs around health and wellbeing are. I think my difficulty with the WHO definition is that it makes true health feel slightly unattainable. Having a complete state of physical, mental and social well being at any one time is pretty hard going if you ask me, because let's face it, life likes to throw curve balls (not all intentional, mind you). And so in that sense are we ever truly healthy? Something that I feel is integral to promoting health is your mindset and how you deal with the circumstances going on around you, particularly the ones, such as social well-being, that are more of an abstract and subjective concept. Looking at health in a positive or negative light can change how you think about it. Thinking of health in a positive light or as an asset can highlight how much health you really have, when compared to thinking of health negatively and making it focused more around illness or lack of health. I think what is really important to highlight is how we as individuals CAN take control of our own health and we should all be aiming to do this as much as we can. OK, there may be things that you have little to no control over, such as long term conditions or illnesses, but what I think is important is how we promote health for ourselves despite this. Be it trying to think about health more positively and focusing on all the aspects of "good health" you have, or promoting health through lifestyle changes, or focusing more on your social wellbeing, for example through relationships, social contact and connections. I actually listened to a really interesting Ted Talks podcast last week on a 75 year long study on two groups of men that found the key to living a healthy and happy life was being satisfied within ones relationships. It's true, the men that were the most satisfied in their relationships at age 50 were actually the healthiest at age 80. Thus highlighting to me the importance of the social wellbeing concept in our original WHO definition regardless of how abstract it may make it. 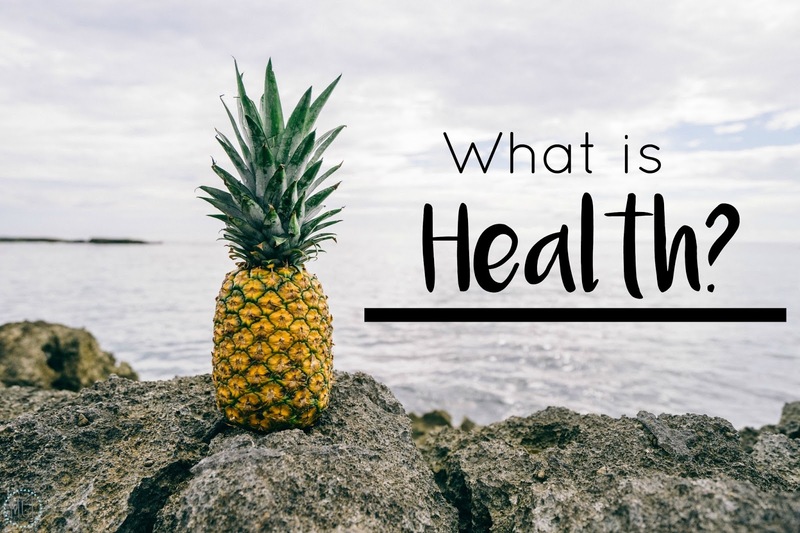 Although the title of this blog post is "What Is Health? ", I really don't think that's a question that I can really answer on behalf of all you guys. Because to me health is subjective and I think everyone is entitled to their own view of what their health means. To me, health is about being not only physically well, but mentally well, both of which involve making time for things that are important to me, that promote my health and wellbeing from a physical, mental and social perspective. Health to me is not about being thin or only eating certain foods or exercising everyday. Health is about balance. If you have any concerns about your health then please seek support from your GP or another appropriate professional. 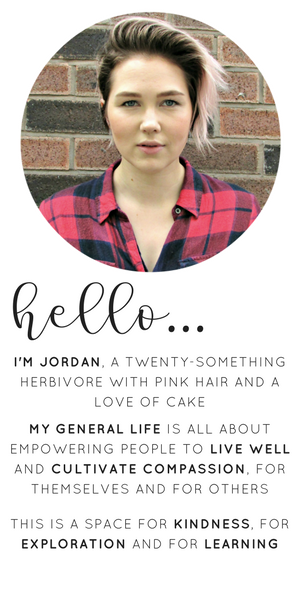 Wonderful blog Jordan - health and well-being are wholly intertwined and it is right to take a holistic approach. It's often hard to reflect on mental pain, as it doesn't set off your nerves in the same way physical does, so it's important to take part in things like yoga or meditation. I know I certainly need more time reflecting on my own mind! I think far too many people get stuck on the idea of being thinner equals to being healthy. This was a really great read. For me, being healthy means feeling good in myself, whether that's through lack of illnesses or being able to run further than I could last time I tried, or just being happy that day. Health really can mean a lot of different things, and I think it not only changes from person to person, but each individual will change their ideas on health depending on the situation they're in.